← DO YOU WANT TO KNOW MORE ABOUT ME? Madi Preda is a very special author. All the reviews of project “How To Promote and Market Your Book – Publicists Tips & Tricks” are very positive. She dedicated her time to help authors. This is why Madi is so interesting to all of us – indie authors. – What is your book about? – First of all I want to thank you for having me as a guest on your blog today. 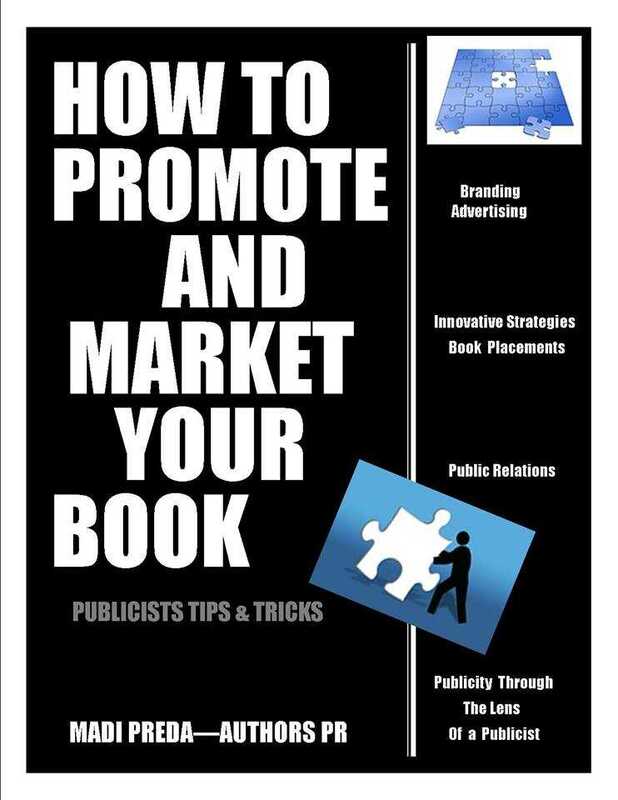 As the title sais “How To Promote and Market Your Book – Publicists Tips & Tricks” is a book about book marketing,based on my experience as a publicist and its meant to be a help for every writer. The book contains general notions about book marketing, step by step ideas on how to build an author brand. Three case studies for promotion on different genres and lots of resources and useful contacts. – How you decide to write this kind of book? – I have met many authors complaining that their publisher don’t do much publicity for their books and I think here is a bit of misunderstanding. The first person who should promote a book is the writer because he knows best what the message of his story is and he is the most qualified person to share this message with the audience. How readers perceive a book has an important role when it comes to brand yourself as a writer, to promote a book efficiently and the ability to do this has become essential. No matter how talented an author is – if the readers don’t know about a book, how will they know to buy it or if it is a good one or not? How To Promote and Market Your Book by Madi Preda is an easy to read and understandable guide designed to help every author to chart their own path and stand up and say to the world “Here is my book” and communicate the message from between the covers in an original way that call to action and make their book a must read. Writing a book without promoting it is like waving to someone in a dark room. You know what have you done but nobody else do. – The biggest challenge for me it was not to write in my language, which is Romanian and always there was the fear that I will make mistakes and readers will penalize me for that. I was lucky enough to meet Nancy King – the author of Changing Spaces and she did the editing for me. So that problem was solved. Another challenge it was my determination to do everything on my own, and that was a big one. I designed the cover and I had to find out how to format an e-book. Many new things for me and I had to study a bit in order to complete this project. – It wasn’t such a long time. Many materials such as lists of bloggers and other resources were part of my daily activity as a marketer. Then there was a pre order campaign for about a month and finally the book was published on 1st of July. All together about three months I think. – This is a tough one. You know, I can do PR for other people quite easy but I find difficult to talk about me. 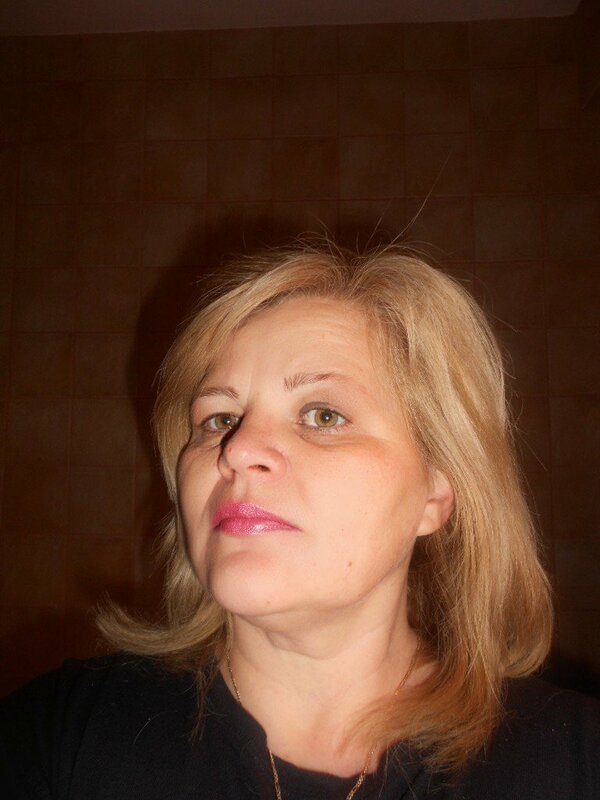 So,lets start with…I am Romanian and I am living now in Greece. I was dreaming to become a doctor and I ended up by being an economist. Because I couldn’t practice that here in Greece and because I didn’t manage to learn the language, I was trying hard to find something to do online using English language. I like reading and when my husband published his first two novels, “Herodotus The Gnome of Sofia” and “Judas Goat The Kennet Narrow Boat Mystery” I helped him a bit by designing some electronic newsletters and spread the word about his novels. After that the idea grew and here I am doing promotion and public relations for authors. About my human being, I have to say that I always liked to see only the good side in people and in everything which happens to me. – Do you have some kind of system or writing procedure when you wrote the book? – Not really, it is my first book and I like to say that I am unique, not necessary as a plus. Everything it was about back and forwards, cutting some pieces off, developing some others, cover design before finishing the book. – I think it is a bit early to discuss the book sales, and it is not that the point. More important for me is the engagement and the response for my targeted audience; with that yes, definitely I am satisfied. The book it has a few reviews on GoodReads, and lucky me all of them are five stars. Also I am satisfied with the number of downloads during the pre order campaign and I have to say its worth the effort to set it up and this is an advice for every single author. If they do pre orders and they promote the pre-order campaign efficiently they will be pleased with the results. – What are you doing to promote the promotion book? – You made me smile with this question. You know what is amazing, I found myself in the position of others now and sometimes I am a bit shy to say, hey here is my book. Funny enough I think I do less for my book than I have done for others. *Please list the Top 5 advises that authors must follow in order to make good promotion? – What is the rate of importance between being a good author and good promoter in order the book to be well discovered by the readers? – I don’t like to talk about numbers and statistics, what I can say is that being a good writer is not enough. – You are born in the Balkan peninsula, how would you describe with three phrases this part of the earth? – In that part of the world, generally speaking, people are very sensitive and caring people with an open and sincere display of emotions. Abroad this is not always so… and the humanity has been polluted by materialism and wrong values. Probably being away makes me to idealize a bit and to remember only the good things. Posted on August 8, 2014, in Uncategorized and tagged author, book, How To Promote and Market Your Book - Publicists Tips & Tricks, Madi preda, marketing, promotion. Bookmark the permalink. 5 Comments. You are welcome! Thanks for sharing your experience! Reblogged this on AuthorsPR Literary Lounge. Hey, great interview. I’m an immigrant (to Australia) myself, and I’m always interested to hear about an immigrant’s journey. It is also cool to hear how your career changes led you from economics to helping indie authors make a living, what a trip!